Propaganda is the friend of Totalitarianism- W.E. Authorities are trying to identify the source of what appears to be a mock movie poster warning that Al Qaeda wants to come back to New York City. The New York Police Department and the FBI discovered the graphic on the internet on Monday. 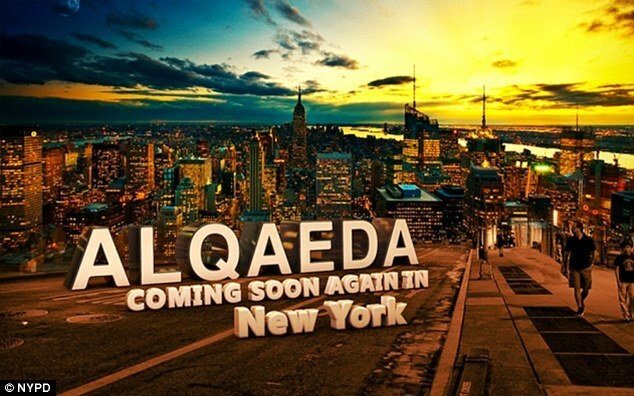 It features a photo of the city at sunset with 'Al Qaeda' in bold type followed by 'Coming Soon Again in New York'. Both the FBI and the NYPD said investigators have found no evidence so far that the posting represents a credible threat against New Yorkers. The graphic was seen on several Arabic-language websites, including gulfup.com, according to NYPD spokesman Paul Browne.